Crossword & Puzzle Collection is a feast of your favourite puzzles plus lots of contests packed into a jumbo-sized magazine. 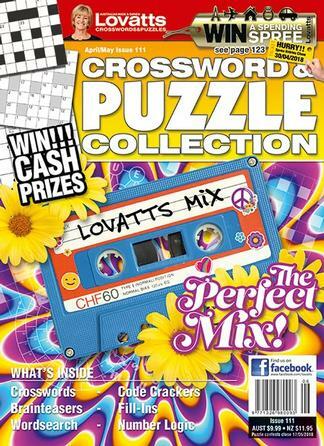 Lovatts Crossword & Puzzle Collection is a bi-monthly title. Please allow 10-12 weeks for your first delivery. Be the first person to tell us what you think about Lovatts Crossword & Puzzle Collection and you'll save $5 on your next purchase!